Whether it’s your first year cooking a vegetarian Thanksgiving dinner, or you are just looking for some delicious recipes for your vegetarian guests, we got you covered! In this post you will find all of our favorite vegetarian thanksgiving recipes, tips for cooking and prepping ahead, and so much more. From vegetarian thanksgiving side dishes to drool worthy desserts, you will find recipes that will please everyone! When you are a vegetarian at Thanksgiving, the first question most people ask is well what do you eat besides turkey? Although I firmly believe that the most delicious part of Thanksgiving is all of the amazing side dishes, we still do a “meat” every year. After trying multiple brands of vegetarian “turkey” roasts, we found the golden one. It’s worth saying that the others were so bad that we could not eat them. So be warned before you spend $10 – $15 on a roast! 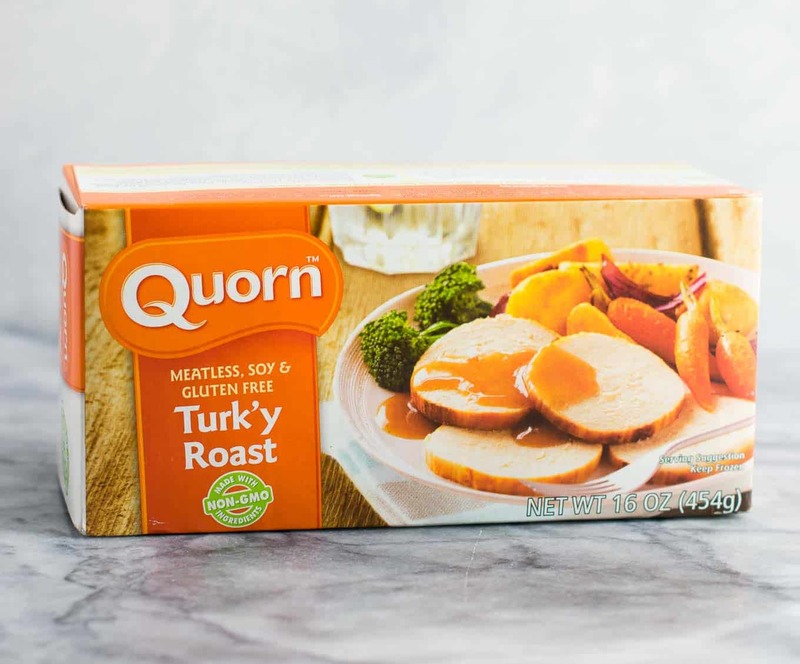 The quorn brand Turk’y roast is vegetarian and gluten free and tastes almost exactly like turkey! I even had a meat eater ask what on earth was in it because it tasted like meat. To some vegetarians, this might actually be a turn off, but we enjoy some on the side every year. It’s delicious, easy to make, and tastes amazing with vegetarian gravy. 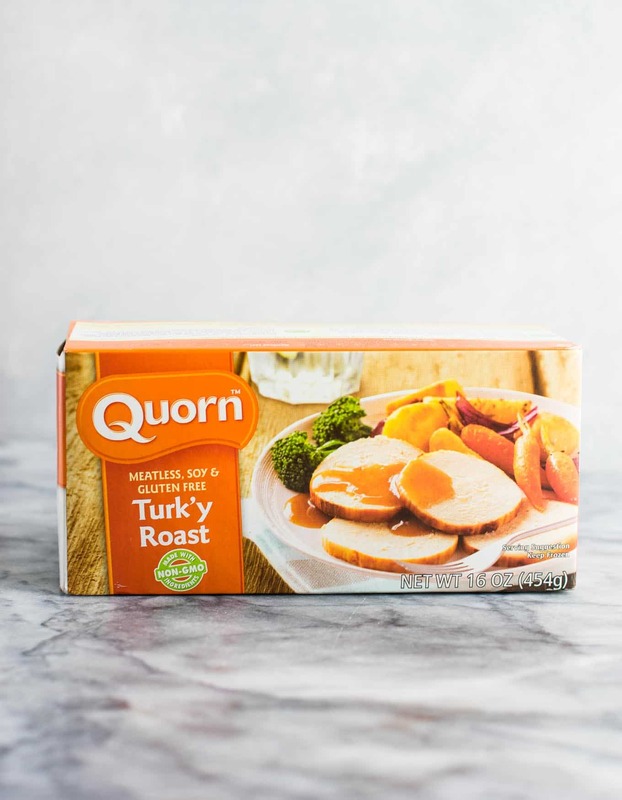 This is not sponsored, I just wanted to share what we found to be the best vegetarian turkey option. What we usually do is defrost the roast in the fridge overnight, then bake it on Thanksgiving. Once it is done baking, we dice it into chunks, and place in a crockpot to keep warm with enough gravy to keep it from getting dry. I have bought mine both at Kroger and Walmart, and Walmart has it several dollars cheaper. You could also go another route and make your own non meat loaf, or other vegetarian main dish recipe. Last year I hosted Thanksgiving and my guests brought some meat for themselves to eat along with all of the other dishes. This was a great compromise and everyone raved about the vegetarian and vegan dishes! Planning a vegetarian Thanksgiving menu is so much fun! Thanksgiving is a basically the Superbowl for anyone who loves to cook. Here are some of our tried and true classically delicious recipes! Stuffing is a must have for Thanksgiving, and this is the absolute best stuffing I have ever tasted! 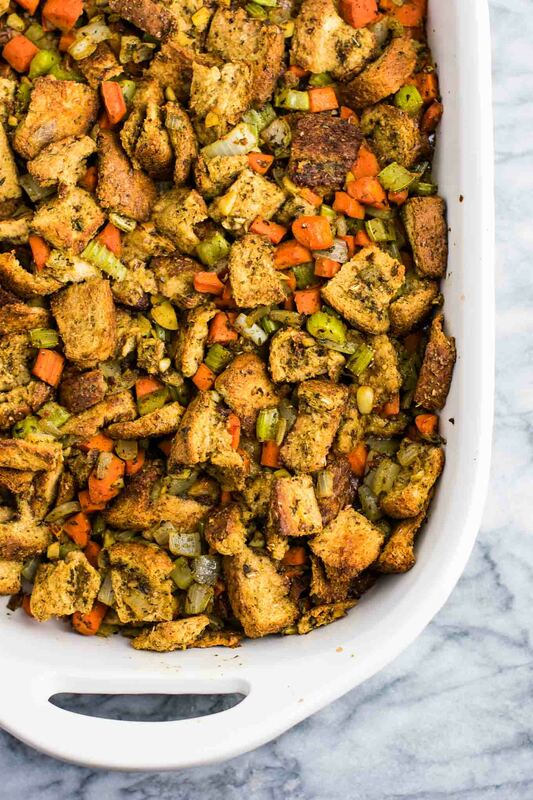 I make this stuffing every year and it comes out perfect every time. Fresh garlic, onion, carrots, and celery bring freshness and so much flavor. Sage is the star spice! This stuffing is also easily made gluten free by using gluten free bread. I never cared for stuffing growing up, but after trying this recipe it is now a staple on my table each year! Any prep work you can do before the big day will save so much time! Here is what I do to prep the stuffing. 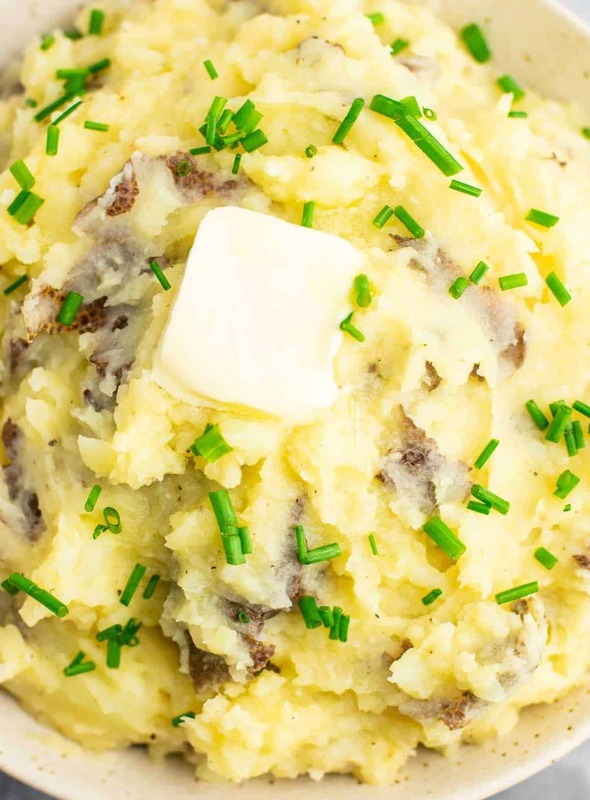 Mashed potatoes are a classic, and these fluffy buttery vegan mashed potatoes do not disappoint! If you are not vegan, easily sub real butter and milk to make these mashed potatoes! The holy grail of gravy recipes. 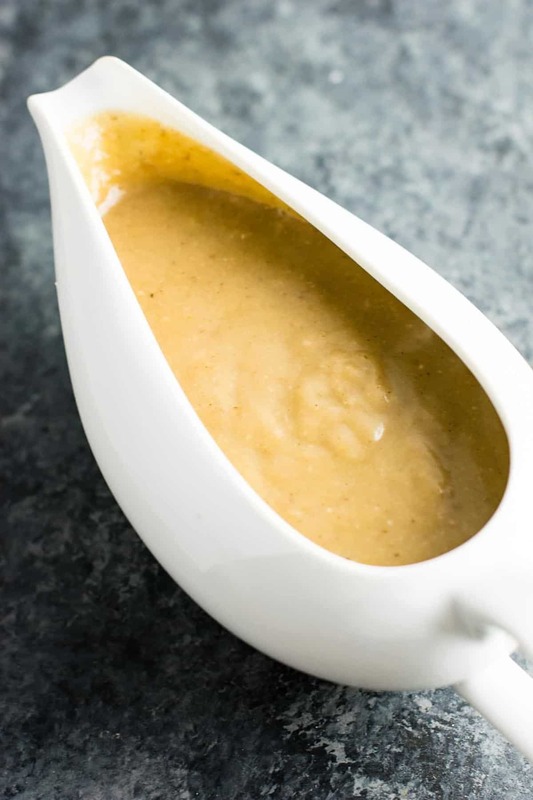 This vegetarian gravy recipe is so insanely flavorful you will want to just eat it by the spoon! Vegetarian or not, your guests will be begging for seconds of this gravy! You can use vegan butter to make this gravy vegan. To make a gluten free gravy, simply substitute cornstarch for the flour! Gravy is one thing that always reheats well, so I make it the day before Thanksgiving! Simply reheat on Thanksgiving day in a sauce pan or small crockpot and you are ready to eat! Cranberry sauce is essential to Thanksgiving dinner! 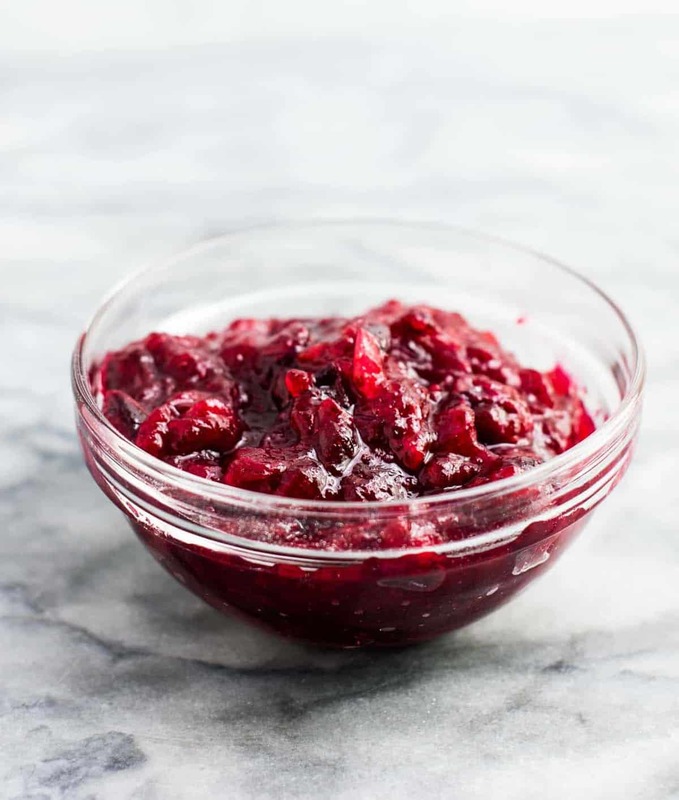 This healthy cranberry sauce is made with only 3 ingredients and is ready in under 15 minutes total. No more canned stuff that tastes gross! We are obsessed with this tangy sweet fresh cranberry sauce and know you will love it too. Prep tip: make this the day before! Cranberry sauce is best served cold, making this a perfect dish to make the day before and store in the fridge. 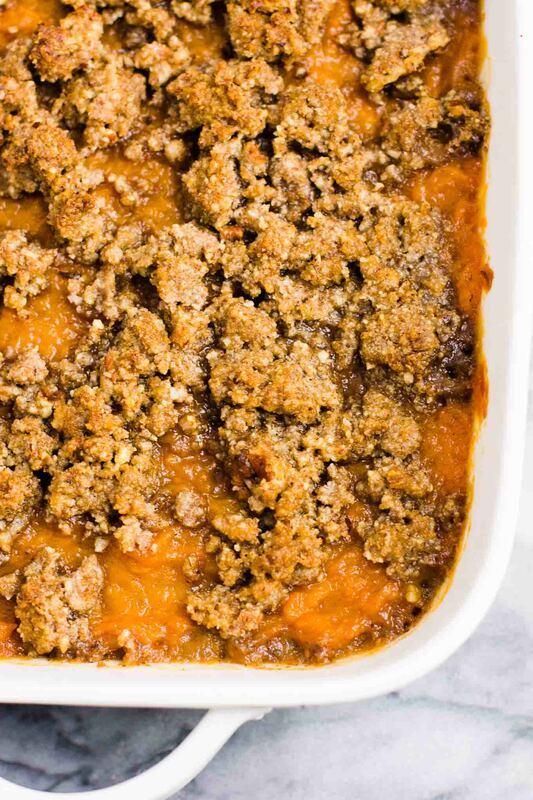 This sweet potato casserole is everything delicious – buttery sweet potatoes topped with a salty sweet pecan crumble. No more overly sweet bland sweet potato casserole. Try this and watch your guests rave! Added bonus – it’s gluten free! 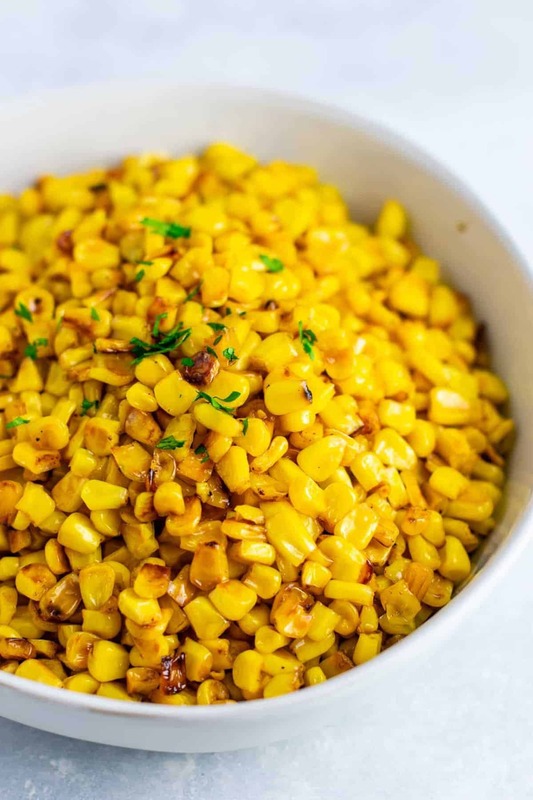 I serve this best ever skillet corn recipe every year and it is delicious! Buttery, crispy corn is always a winner! 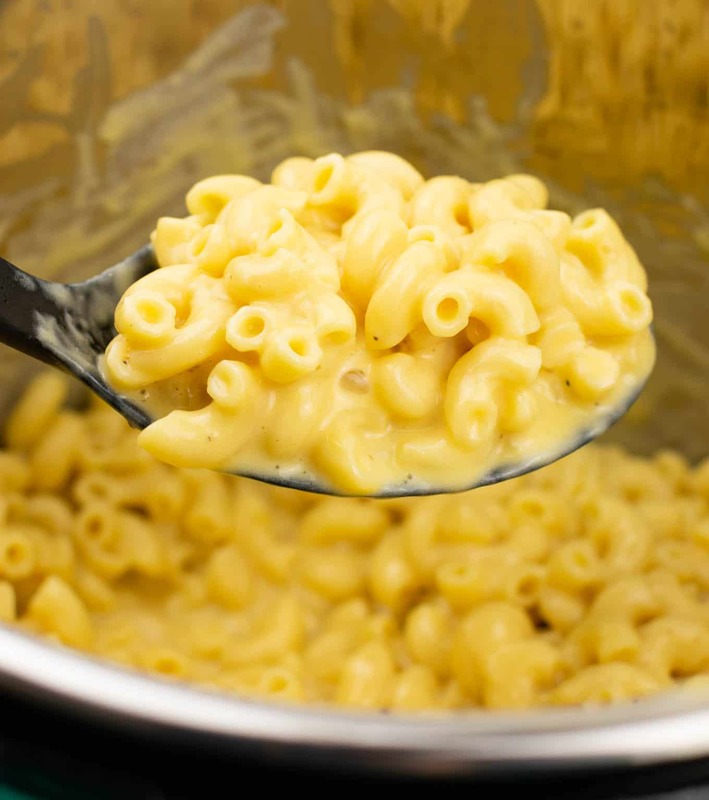 Instant Pot Mac and Cheese is the easiest side dish ever! Ready from start to finish in under 15 minutes, and is so creamy and delicious! 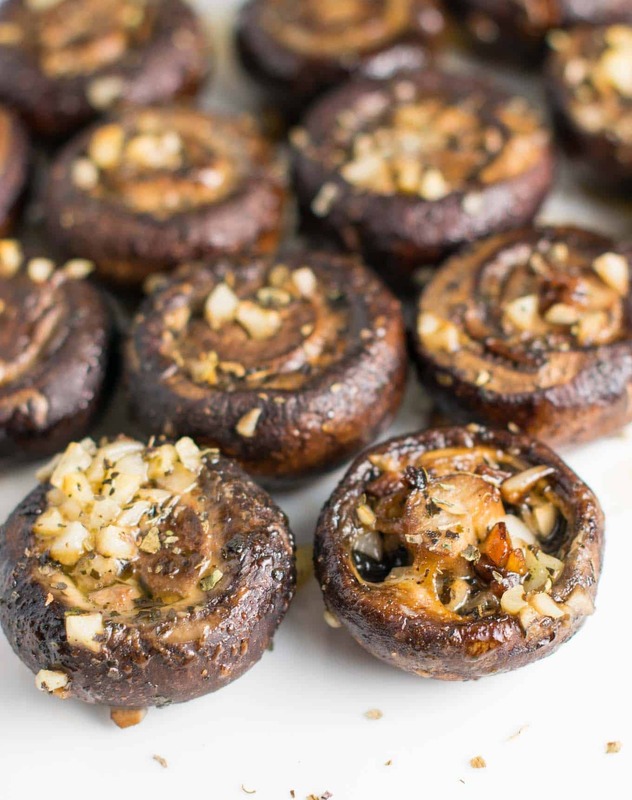 Buttery, juicy garlic butter mushrooms! Serve as a vegetarian Thanksgiving appetizer or side dish. 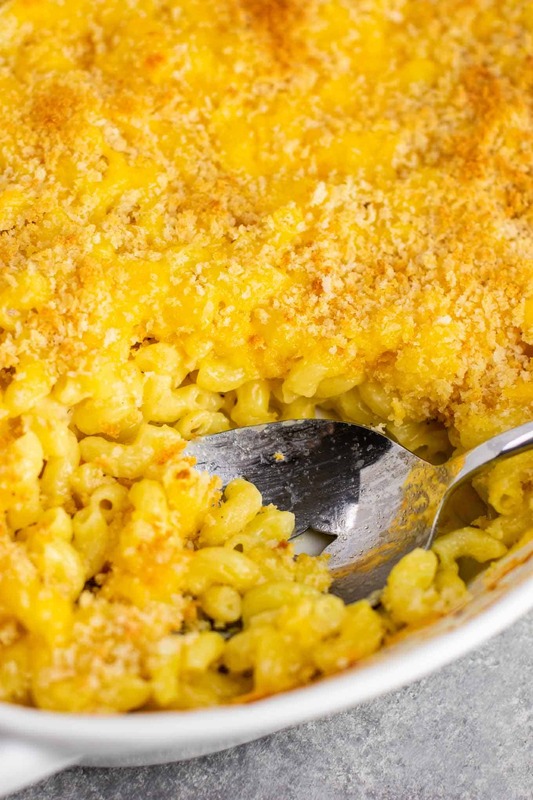 If you prefer your mac and cheese baked with breadcrumbs, here is a classic favorite recipe! 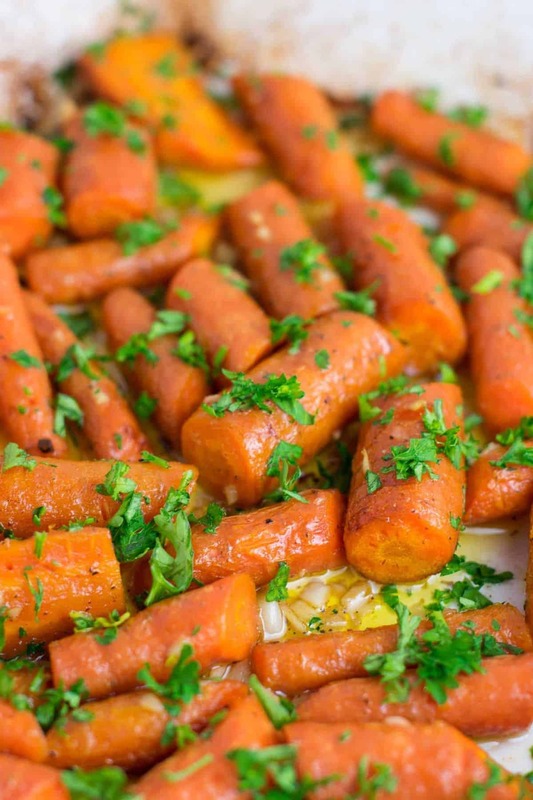 Juicy carrots roasted to perfection! Vegan butter makes these dairy free. Just when you think you are too full to move…then comes dessert! Here are some tried and true favorites. 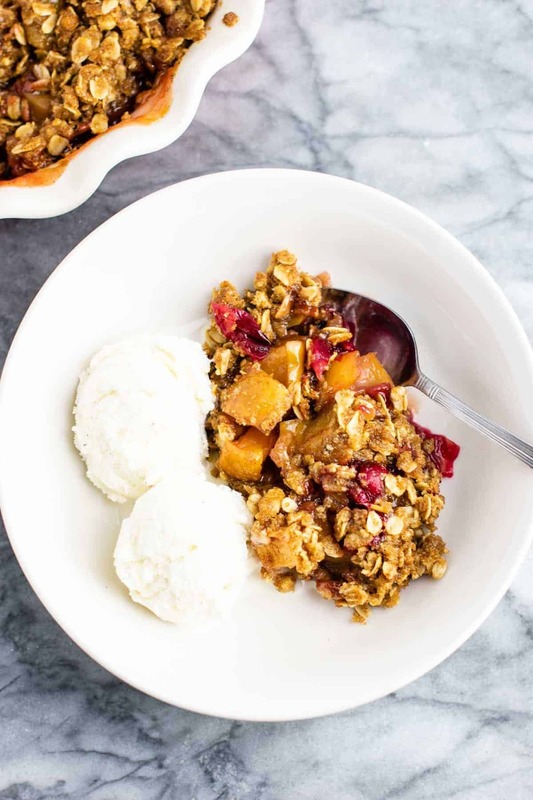 Delicious juicy apples and fresh cranberries makes this a hit dessert that is so easy to make! 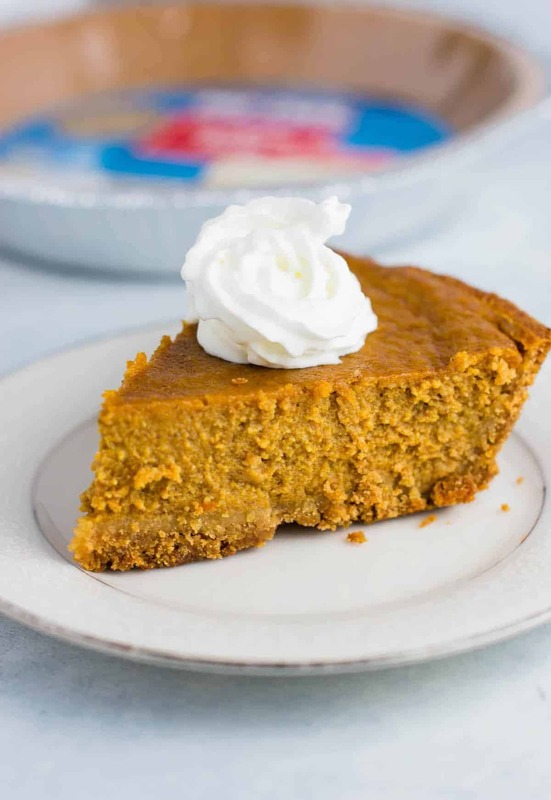 It’s not Thanksgiving without a cool slice of pumpkin pie, and this gluten free version does not disappoint! Craving just a bite? 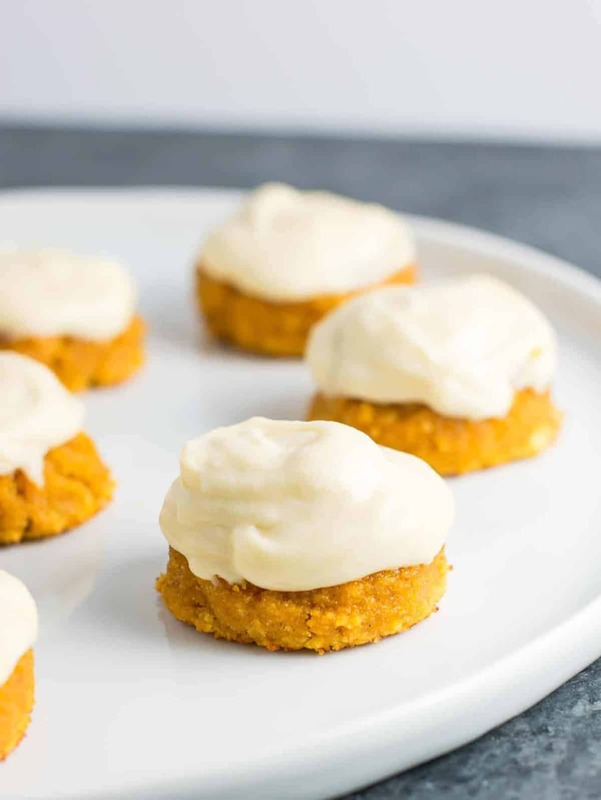 You could also make these Gluten Free Pumpkin Pie Cookies! Cookie bars might seem like an interesting choice on Thanksgiving, but pecans are a fall dessert to me! 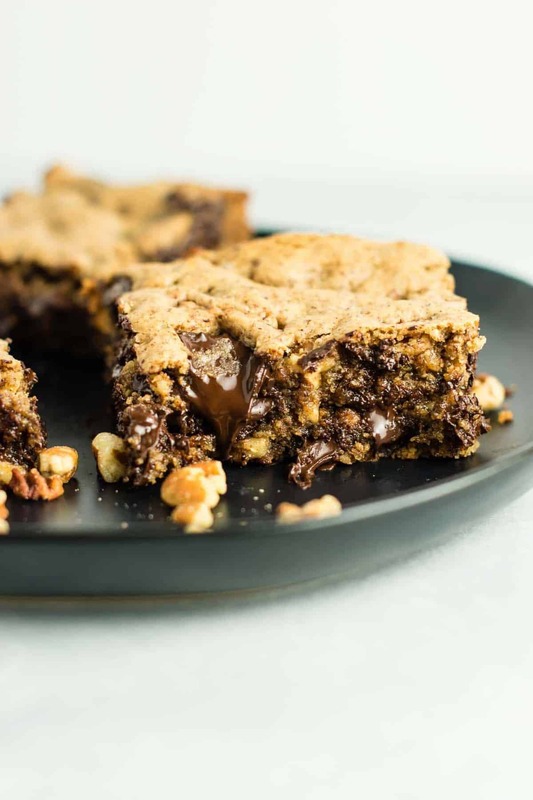 I served these cookie bars last year at Thanksgiving with ice cream and everyone loved them! 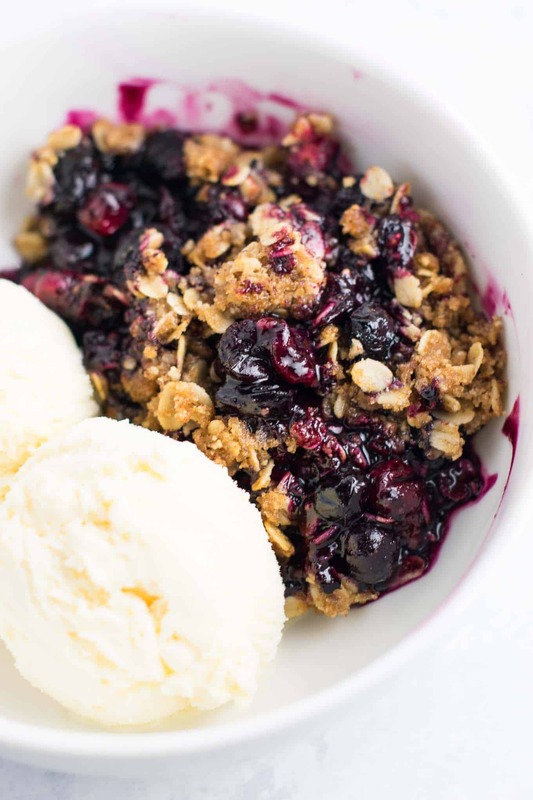 I made this Cranberry Blueberry Crisp for a second extended family Thanksgiving last year and it was a hit! So much flavor, and another delicious way to use fresh seasonal cranberries! Want to serve little bites of pie for Thanksgiving? These cookies taste like individual pumpkin pies and are perfect when you are stuffed but still want dessert! 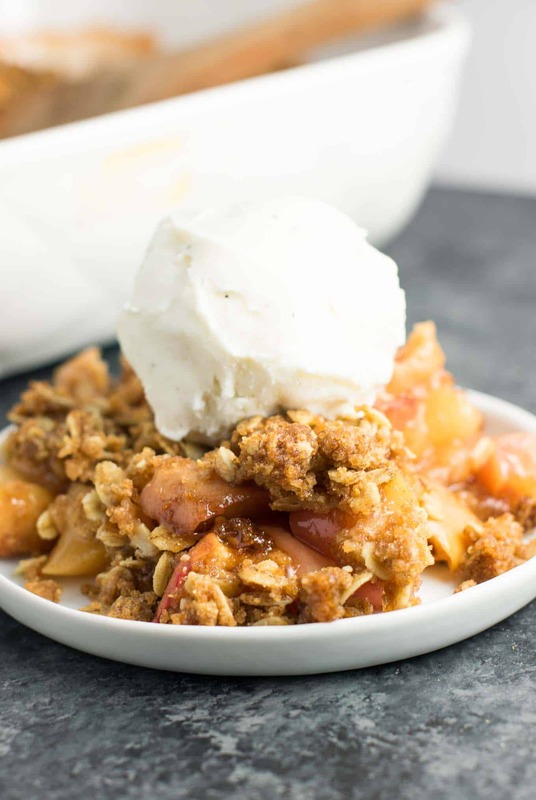 Classic apple crisp is an easier alternative to pumpkin pie! Everyone loves this delicious family favorite. 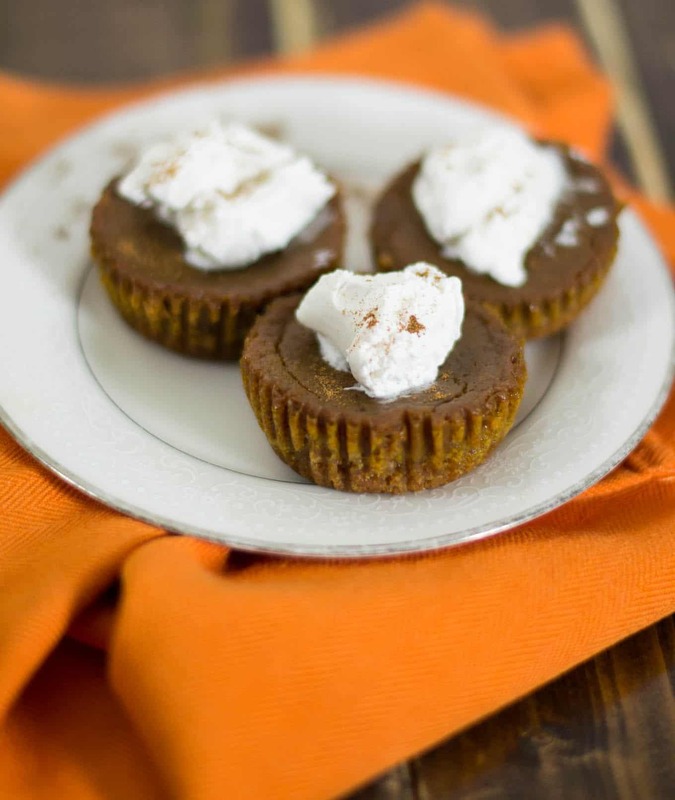 Fun little bite sized vegan pumpkin pies! Good luck planning your Vegetarian Thanksgiving Menu! If you try a recipe, be sure to leave us a comment and let us know how you liked it! Saving this post for later? Click HERE to pin it!